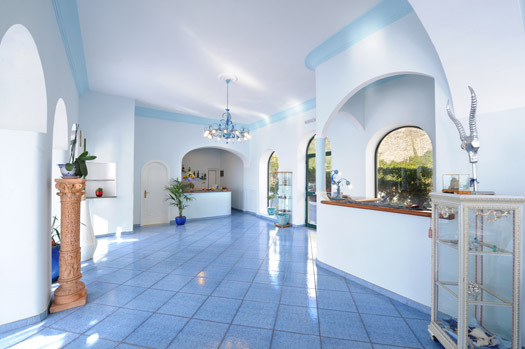 Hotel Torre Saracena in Praiano, one of the best hotels on the Amalfi Coast. Are you looking for one of the best hotels on the Amalfi Coast? Choose luxury Hotel Torre Saracena in fabulous Praiano! 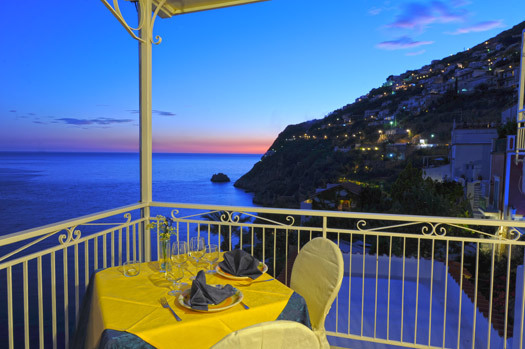 Book now one of the best hotels on the Amalfi Coast: Torre Saracena. Torre Saracena Hotel is located in Praiano, in Italy, awarded three stars, halfway between Amalfi and Positano, in a luxury and elegant building of the XIX century which is composed of 23 spacious and bright sea-view hotel rooms, finely furnished, with private bath and sea-view terrace. It also has private parking, private access to the sea and terrace reserved for hotel guests. 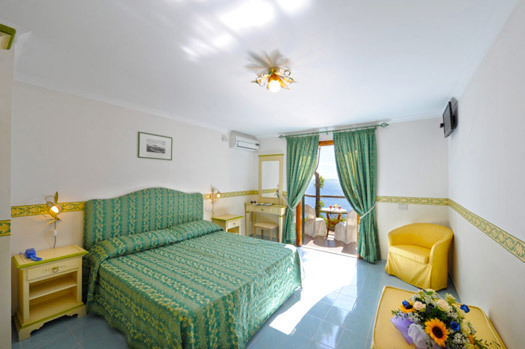 Hotel Torre Saracena is one of the best hotels on the Amalfi Coast. It is the first hotel built in Praiano and the second hotel built in all the Amalfi Coast, in a privileged position at the center of the Amalfi Coast, at only 7 km from Amalfi and 7 Km from Positano. The bus stop is just in front of the hotel. 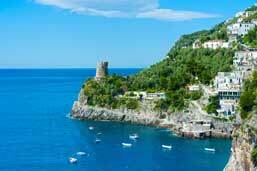 Find out our best hotel special offers in Praiano on the Amalfi Coast. delicious breakfast in the panoramic room or on the enchanting terrace sea-view. Surrounded by the scent of lemons and the enchantment of the sea, Hotel Torre Saracena is one of the best hotels on the Amalfi Coast!Hotel Torre Saracena is surrounded by terraces of fragrant lemon and olive groves of the Amalfi Coast. The hotel is only 300 meters far from the beach in Praiano and 200 meters from the famous Path of the Gods who come to Positano, which is an ideal starting point for hiking and walks to the nearby tourist resorts of the Amalfi Coast and the Sorrento Coast. 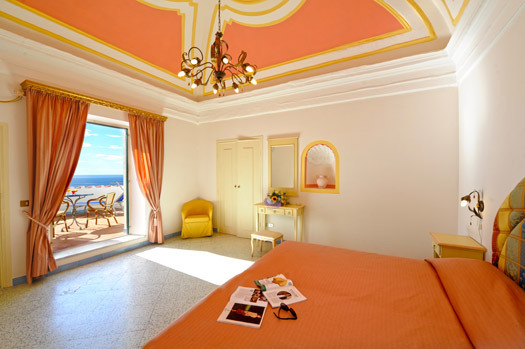 Do you dream a stay in the best hotels on the Amalfi Coast, in a panoramic and romantic location on the charming sea? The view goes on the beautiful sea and on the ancient medieval towers. Along the Amalfi Coast you could admire a lot of the towers built in the century to protect the village on the coast from raids by Saracen pirates. Our best hotel rooms are luxury, historical, spacious, with a balcony overlooking the sea and a patio. You could taste it in the breakfast room, on the wonderful terrace overlooking the sea or, on request, in your room. The hotel offers a private swimming spot, a platform on the sea, at the bottom of some typical Amalfi Coast stairs. The descent down the stairs to the sea is a bit intensive but you will end up in a little corner of paradise, private, next to a cave, from which you could dive. 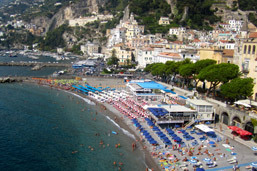 The hotel is the best to get around the Amalfi Coast, by bus or to walk in Praiano. 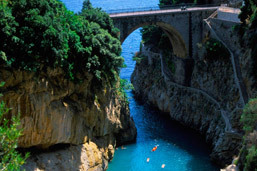 The Amalfi Coast is full of enchanting paths from the coast to the mountain, through the lush Mediterranean vegetation. The most famous is the Path of Gods that from Praiano goes to Areola or to Positano. 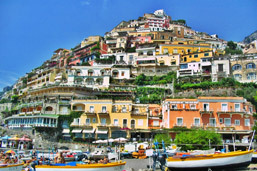 Do you like to know the Amalfi Coast best locations to visit from your Hotel? Enrich your stay with memorable tours! 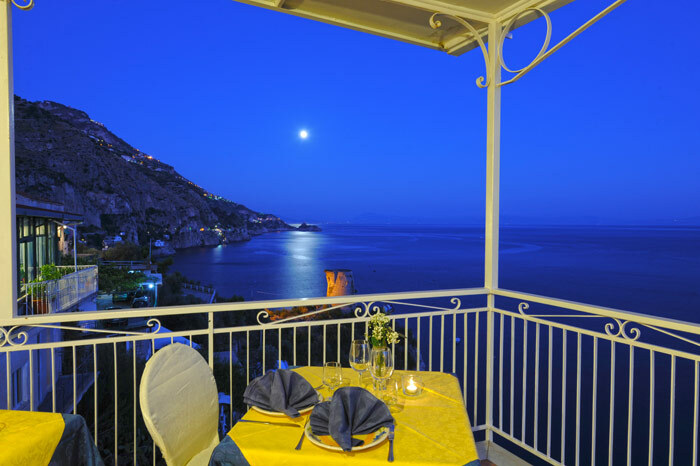 Hotel Torre Saracena, among the best hotels on the Amalfi Coast, is very conveniently located to spend a relaxing stay on the Amalfi Coast, with a stunning view on the sea from its terraces and rooms. Salerno from where you could reach the archeological site of Paestum with the famous Greek Temples. Vesuvius, in the 79 After Christ, less than 6 meters might ash. The entire area was uninhabitable for several centuries. A lot of the artifacts found on the XVII century, today are visible in the MANN, the National Archeological Museum of Naples. Find out the best tours and excursions from our Hotel on the Amalfi Coast! Are you looking for the best hotel Amalfi Coast special offers? Visit our web site and contact our staff! 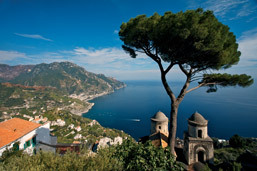 Book our relaxing vacation package for three, five or seven unforgettable days on the Amalfi Coast. Torre Saracena, the best hotel on the Amalfi Coast is waiting you! What are the best events on the Amalfi Coast that you could reach from our hotel? One of the most important events in Praiano is the Luminaria of Saint Domenico, on the first week of August. It is a spectacular show that attires numerous visitors. August is the month of the feast of a typical pastry of Conca dei Marini: a puff pastry cake filled with delicious cream. Positano and Maiori are famous for the beautiful pyrotechnic show on the sea on the 15th of August. Several popular events remember the fishermen of the Amalfi Coast with the religious procession by sea. For the lovers of the dives from the great height, every summer there is the Mediterranean Championship from the Fjord of Furore. Visit Amalfi for the Byzantine Capodanno. 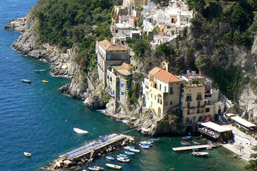 In the medieval towns of Atrani and Amalfi relives the splendor of the ancient Maritime Republic. Ravello is world famous for the Classical Music Festival with include jazz music and ballets, surrounded by the enchanting location of Villa Rufolo’s gardens or in the futuristic auditorium Oscar Niemeyer. The feast of the little towns of Furore, Tovere of Amalfi, Pogerola presents traditional menu made with typical products: potatoes, courgettes, pumpkin, fresh fish, prickly pears, tomatoes and delicious desserts. Every town of the Amalfi Coast is famous for the own traditions and customs, feasts, and it is very interesting to find out them. Our staff, efficient and friendly welcoming, is at your disposal for all the information and details that you’ll need to give you the best experience in our hotel on the Amalfi Coast. Book 3 nights in June, July or September, the total cost of 360.00 € will be double standard room with breakfast buffet, private access to the sea, solarium, and if you book half board, will cost 510.00 € tasting the typical products of the Amalfi Coast. 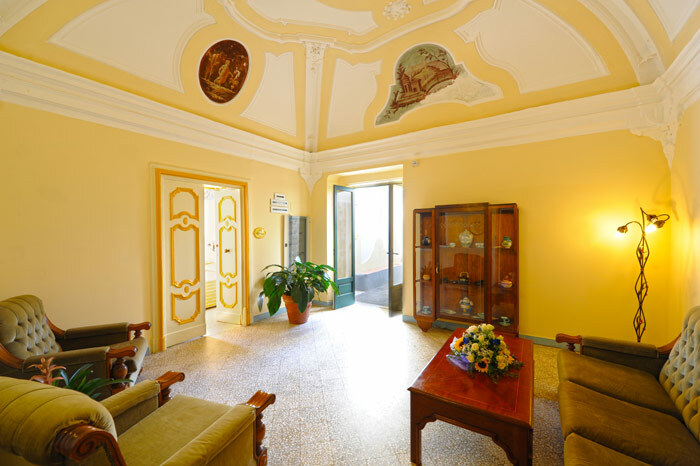 Book 5 nights in June, July or September, the total cost of 600.00 € will be double standard room with breakfast buffet, private access to the sea, solarium, and if you book half board, will cost 850,00 € tasting the typical products of the Amalfi Coast. Recommended beaches near the hotel. Walking around the Amalfi Coast and its surroundings: the most beautiful places to visit. We enjoyed staying there so much. It is a perfect location visiting the amalficoast. The bus stops just next to the hotel so you don’t need your car to visit all the nice places along the coast. Furthermore it’s a perfect place to be in the evening. Take just a little walk to the most wonderful restaurants along the coast and have dinner directly at the shore. Hotel staff was great, friendly & efficient. Room was clean & had a great view if the Mediterranean sea. Good spread for breakfast. Affordable and there’s parking as well. Two thumbs up. Highly recommended. Located between Positano & Amalfi. Nice & quiet neighborhood as compared to the other two places. Relaxing atmosphere.